Is it all due to the freedom they are having that they can present anything which they like, viewers will attend may be the subject is out of moral and insensible. They just do these for their love TRPs. no matter how do they get it. It's really the best thing to have a media, but it equally become irresistible when you see a biased media. i really congratulate cnn ibn, times now, ndtv and DD News for really sharing and feeding us the true and biased free reports. if you are a media person, you have no right to be a decision maker. it's the viewer decisions what they think of the news piece and how do they react to it. you can't influence them saying what is right and what is wrong. we viewers too have some brain in our skull. let it be on us, how to react? you are required to be a presenter and not a rajneta. don't politicize your profession. 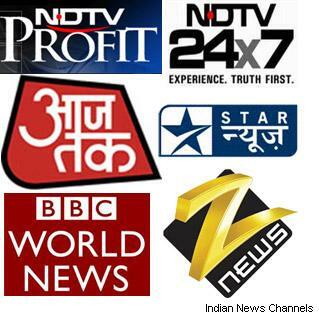 there are some more channels which i see biased free is sahara samay. It's better not to talk about star news and zee news. one can at least resist india tv. but these two irresistible. one thing for deepak chaurasia, "sir you are my favorite i like your style and questions but dislike your current channel for which you are working". you were too good on doordarshan. prime time with deepak chaurasia. best news pieces.